This is a beginning level course suitable for the novice and up. There will be a lot of hot forge work in this class. Also covered will be shop safety, fire management, and hammer control. 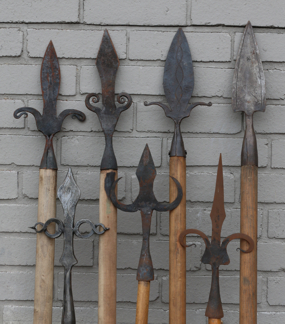 A dowel will be provided for each spear head.